An evening-flowering biennial with lemon-yellow flowers. In the first year, this biennial produces a rosette of lance-like leaves. In the second year, an upright flower spike rises out of the flower. Off and on from June to September the plant has lemon yellow flowers arranged around the flower spike. After the second year the plant usually dies, but remains in the garden through self-seeding. Flowers begin to open at dusk and close the next day. 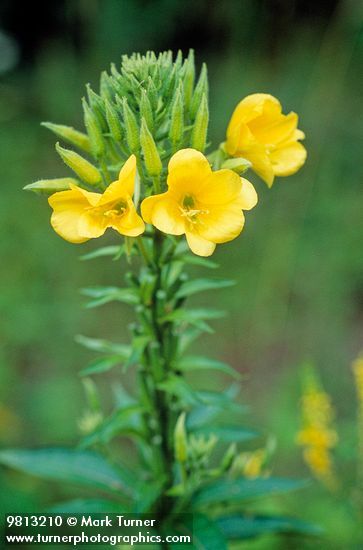 Flowers are fertilized by night-flying moths attracted to evening primrose’s light fragrance.